Why the Sociology Answer Writing Program (AWP) is NOT (just) a test series? It will NOT be ‘personalised’ test series in which we force ourself to tell good things about your answers in green ink. If something is bad, it’s bad! Nor we believe in sharing bad things about your answers in red ink just because you didn’t write the ‘model answer’ we had in our mind. Aren’t there many ways to write good answers? We don’t want to pretend that we are of UPSC standard by imitating questions from 2018 Mains. Because 2019 will be different. Nor we want to showcase our creativity or put you through clinical trials by posing exotic or current affair based questions that will never come in the exam. Even if they do, its sheer coincidence! What about test discussions? Should we dust our hands off by simply sharing model answers? Should we restrict the discussion to the questions strictly? Isn’t it important to understand the underlying topic more than its manifestation (questions)? Questions can be twisted. And when we understand the topic really well, aren’t we better equipped? What then, is the Sociology AWP? A first-of-it’s-kind program; for those who want to top Sociology in Civil Services Main 2019. 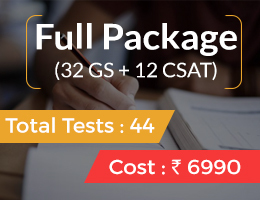 This Answer Writing Program – is an ideal mix of test series and classroom guidance given the gap aspirants face despite classroom coaching, test series and self-study. It will involve making students write previous years questions curated in a way that will cover entire syllabus. Yes, just the previous years questions. That’s all you need to top Sociology Mains. Their answer approaches will be discussed and associated concepts clarified / taught in a classroom (no online mode) after each test. Emphasis will be laid on theories and topics that cause worry in Paper I. We will also focus on how to write Paper II in a ‘sociological’ manner. Will individual scripts be evaluated? No. You won’t have that need anymore post classroom guidance. However, if you still want to know if you are on the right side, your script will be checked (on demand) post the discussion session. In sum, we will ensure you are exam-ready. To conclude, you will take 12 full-length tests; each spanning 3 hours. The test schedule can also act as reading timetable for sociology as we factored in prelims preparation. 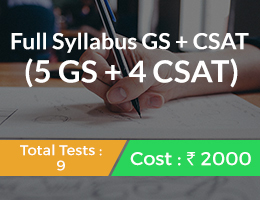 The entire syllabus will be covered 3 times, thereby facilitating reading, revision and consolidation. Please refer to the timetable for more details. Which type of aspirants will benefit the most from the AWP? Sociological Thinkers The first 4 chapters are the core of paper I – both in terms of understanding Sociology as well as scoring in UPSC. Spend more time. Consolidate. But push yourself to be ready by 3 Jan. Politics and Society – Both Paper I & II Chapter on tribes from Paper II has been deliberately incorporated here. Chapter 3 from Class XII Sociology NCERT, ‘Indian Society’ would be your core text apart from ESO 12, 14 & 16. Visions of Social Change in India Notice the interconnections between Paper I & II – be it Politics, Religion, Kinship or Social Change. Apply concepts, theories & thinkers across papers. Social Classes in India Sociological Thinkers and Stratification & Mobility from Paper I should inform your reading of these chapters. So don’t restrict your reading (thinking) to ESO 12 or the latter part of 14. Challenges of Social Transformation Social Movements must be studied in the broader context of the chapters, Politics and Society – Papers I & II. Similarly, contents in Challenges of Social Transformation must be read in the context of topics such as Development and Dependency, Poverty and Deprivation, Patriarchy and Sexual Division of Labour, parts of Social Movements in Modern India etc. Sociological Thinkers If cycle 1 is about reading, cycle 2 is about revision and consolidation. 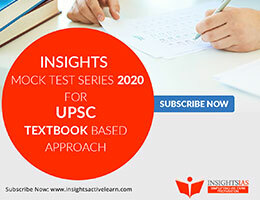 30 Aug 2019 Paper I: Whole Syllabus Now that you have read-revised-reproduced answers that are organic at UPSC-speed, Cycle 3 is more a ritual. It aims to give you a closer-to-exam feel. 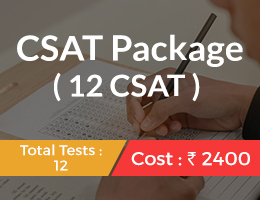 Though you can take the test anytime (given that some aspirants are working, some outstation, some won’t complete the syllabus or worse, lack confidence), we strongly recommend you to be present on the said day, and take the test from 9 am to 12 pm OR 2 pm to 5 pm (UPSC Mains timings). Discipline is the key. Sometimes, a good scare does more than a nice pat. So be present even if ill prepared, and take that test. Your guilt will ensure you are on track henceforth. When will the Answer Writing Guidance Sessions be conducted? You will be notified about the dates and timings of the guidance sessions through a telegram group. Keeping in mind that there would be aspirants stationed outside Bangalore, we will intimate the dates well in advance. InsightsIAS Centre Next to Sharavathi Hospital, Opposite Attiguppe Metro Station, Bangalore. 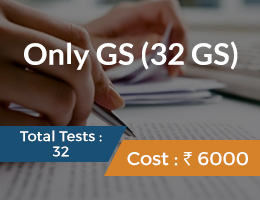 Rs 13,000/– including 18% GST. 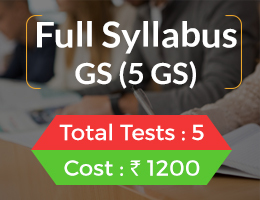 Register for the course by paying full fee on or before the 1st test at InsightsIAS OGP Centre. 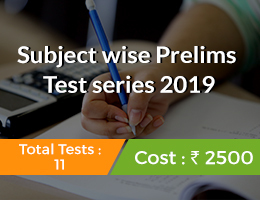 Though it is highly recommended for you to sit through all cycles, those who wish to join the program from June 2019 (post prelims) need to pay Rs 9000/- including taxes.